Your generosity helps support critical ASJ initiatives. ​or becoming an ASJ subscriber! 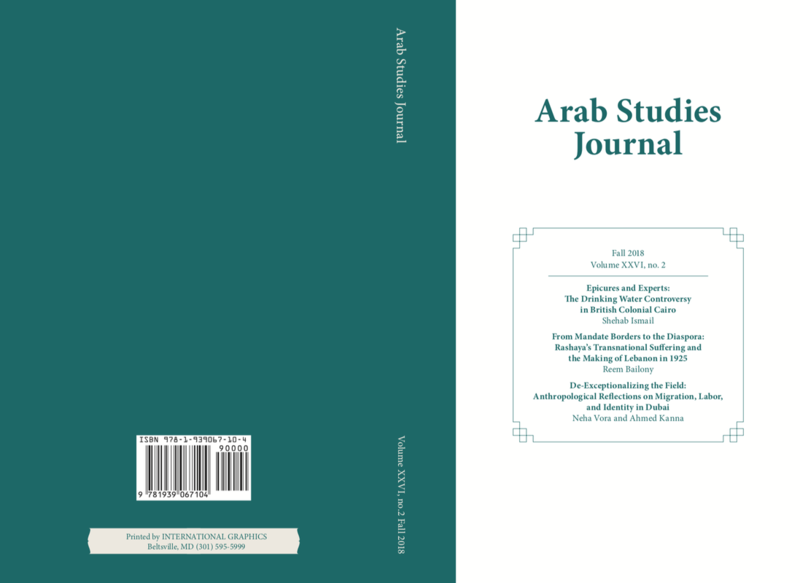 ​Arab Studies Journal is a peer-reviewed, independent, multi-disciplinary forum in the field of Arab and Middle Eastern studies. It is published by the Arab Studies Institute (ASI) and is affiliated with the Center for Contemporary Arab Studies at Georgetown University. We are changing our online format. Our print issue will remain the same, essentially, but it will complement our online presence further. The focus of our online content will be on Pedagogy, primarily within the field of Middle East Studies. Increasingly, we will be featuring electronic roundtables on various topics. These might be published first in our print issue.